FSEM accredits the training & practice of the following subtle energy therapies. Subtle Energy Medicine is an expanded form of both crystal and energy healing. In addition to crystals, practitioners are able to use tools such as colour, sound and flowers as well as flower remedies for self-care. Specialists will have completed a specific Bach flower remedy diploma, a stress-healing (not de-stress therapy) programme and an inner development course that represents a profound journey through the subtle anatomy systems. Furthermore they will have integrated advanced crystal and energy work, how to facilitate healing in a hospital or similar environment and how to work with those who suffer from addiction. Those who have completed this amount of training and practice are highly competent and indeed specialists in subtle energy medicine. At present there are two schools in the UK that offer this level of training and just one that offers the specialist programme. Practitioner training represents 14 weekends of tuition completed over a period of two years, which includes the completion of an extensive portfolio of work. Specialist training consists of two further years that can be attended over a longer period of time. Energy Healing is a subtle energy therapy. Natural energies are channelled towards a client, by a trained healer, in order to help promote health and wellbeing holistically for the individual. Energy healers focus on the energetic causes of ailments, rather than physical symptoms. This is done, by assessing the condition of the various energy systems that are situated within the bio-magnetic field (aura) of a client and then addressing these as appropriate. It is important to add that the whole energetic make up of an individual, including emotions, thoughts, memories and beliefs form part of his/her auric field and the systems within it. Since these systems are not situated within the physical body they are known as ‘subtle anatomy’ rather than ‘physical anatomy’. Training as an energy healer, represents eight to nine weekends of tuition completed over a period of two years. Crystal and Energy Healing can be viewed as two separate therapies although Crystal Healing in its purest form is nothing but Energy Healing with the use of crystals. Crystals are used as tools to help shape and focus channelled healing energies which is done in order to bring the subtle energy systems within the auric field back into balance and best possible harmony. Crystals are powerful and effective tools for energy work and transformation, as they contain a number of special vibrational properties, that interact with us on many levels. 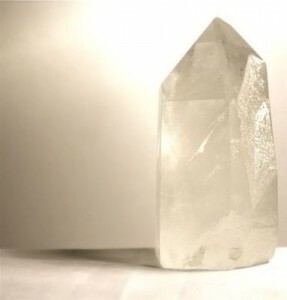 Every crystal has a unique vibration/energy which is influenced by its colour, chemical composition, inner atomic structure and outer form. It is this distinct orderly structure that enables crystals to absorb, reflect, transform, transmute, balance, direct, amplify, clear, focus etc. subtle energies. Crystal and Energy Healing are highly specialised forms of energy work, that require tutor led training and much practice. Training for both therapies consists of 14 weekends of tuition completed over a period of two years. Since the qualification includes Crystal Healing as a separate therapy far more in-depth study, practical work and case studies are required. Bach Flower Remedies The Bach Flower Remedies were discovered by Dr Edward Bach in the early nineteen hundreds and have been used as a complementary therapy since then. Dr Bach understood that more often than not, illness is the result of persistent negative emotional and mental states. There are 38 remedies (plus the well know rescue remedy), each of which contains the positive aspects of certain negative emotions or states of mind. By introducing these positive vibrations into the Human auric field and/or by taking them orally, the causes of existing negative conditions are addresses so healing can take place. This three weekend training course is available for all FSEM healer members. Stress Healing is a series of 4 sessions facilitated in combination with crystal and/or spiritual healing. It is for those who experience excessive stress and tension in daily life and who feel unable to relax when necessary. Stress release forms part of each of the healing sessions and clients are also shown a variety of self-help methods. Please note that Stress Healing is not a substitute for De-Stress Therapy or Stress management, which do not include healing work. De-stress therapy is a mind & body programme that is taught to the client by the stress therapist. The overall objective is to provide lasting changes in the way stress is perceived, experienced and dealt with, before it results in illness or other stress related problems. Clients are taken through a set of specific deeply relaxing techniques. These are accompanied by cognitive techniques that assist in alleviating thought and emotional patterns that may be leading to stress. This valuable complementary therapy can be beneficial to anyone. This more conventional training is open anyone and does not involve energy or crystal healing work. This course is essential for those who aim to teach any form of energy healing in an effective, safe and responsible manner. It is the ‘esoteric’ equivalent of an ordinary teacher-training course and all subjects are covered from an energetic as well as healer friendly point of view. Although subjects are discussed in theory, the accent is, as in all subtle energy training, on practical experience. The course is open to graduates of all FSEM schools and also other qualified crystal or other energy healers who have completed a minimum of two years training. Training consists of 10 days, divided into two parts of three and two parts of two days. All practitioners on the FSEM register have been trained to the highest standards in one or more of the above-mentioned therapies. They also carry a therapist public liability and malpractice insurance and adhere to the FSEM code of Conduct. Practitioners will also explain to their clients in more detail what relevant therapies entail, how they can be of assistance and what is involved in a session. Please note that most practitioners are also qualified in other complementary therapies. FSEM can however only vouch for the therapies it accredits. Please note that rather than alternative, all therapies are regarded as complementary to orthodox medicine. Using the directory to compile a mailing list is a prosecutable offence. Any unsolicited calls/mailings of any kind to individuals listed are strictly prohibited.